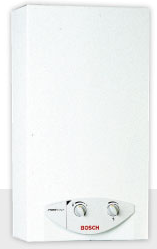 You can save up to 50% with on-demand gas water heaters! Since there are no tanks, there is no water to continuously keep warm or re-heat. Of course, these rates will vary depending on the make andmodel, but you can be sure they are closer, or even better, than you expect. This energy savings translates into cash savings, plus reduces your carbon footprint on. Your carbon footprint is calculated by dividing the amount of energy used by the number of people in your home.